Stand Number A23, Chahan Minassian, Paris, France. London’s leading fair for 20th century art, design and decorative arts is back, and better than ever! This year, there will be 66 galleries in the new tent, including 14 newcomers, and noted dealers Magen H Gallery, Modernity Sweden, Peter Petrou, and Chahan. You can discover and acquire pieces of museum quality with a distinct history in an environment that cultivates eclecticism, authenticity and connoisseurship with passion and flair. This year, PAD London will be paying a stunning tribute to the late architect, Zaha Hadid, a longstanding supporter of the event, which pitched its first tent ten years ago. 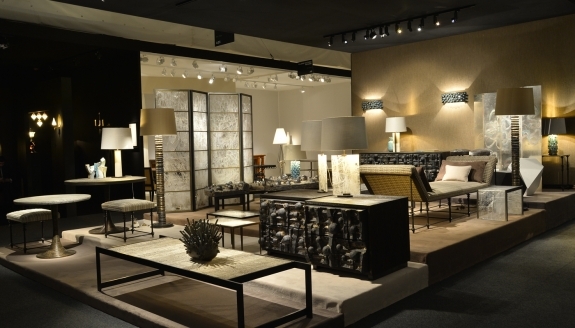 Its boutique setting is sure to inspire collectors, consultants, interior designers, and the public alike throughout the week of October 3-9, in the heart of Mayfair.